Governor Charlie Baker and wife Lauren with Angella and Dan Henry at the gala. 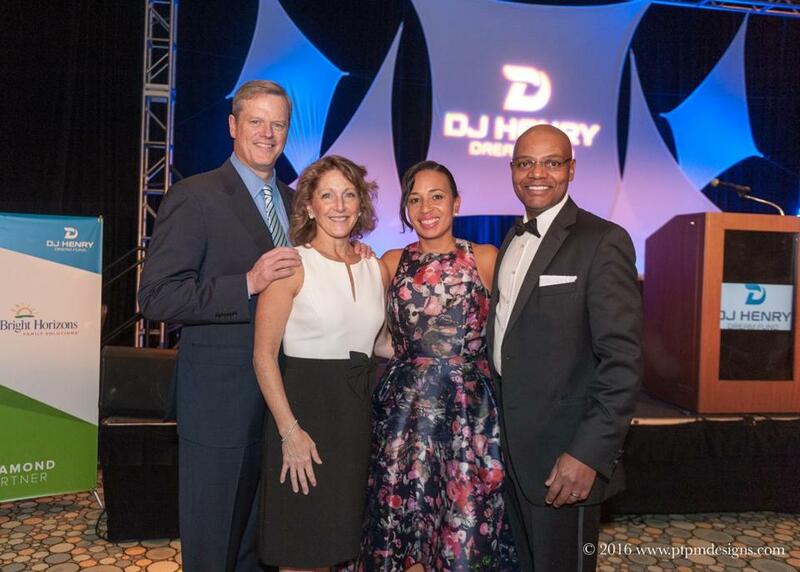 Governor Charlie Baker, first lady Lauren Baker, Boston Mayor Marty Walsh, and state Representative Claire Cronin were among the guests at the sixth annual DJ Henry Dream Fund Gala on Oct. 29. The event at the Renaissance Boston Waterfront Hotel raised more than $200,00 for the DJ Henry Dream Fund, which provides children in need with scholarships to play sports and attend summer camps. The nonprofit organization was created in memory of Danroy “DJ” Henry, a Pace University student who was fatally shot by a New York police officer in 2010. The son of Dan and Angella Henry, DJ grew up in Easton and Oct. 29 was his birthday; he would have been 27 years old.